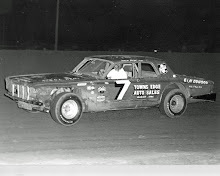 Cedar Rapids, Iowa (May 7, 1967) - Seven-time IMCA national stock car champion Ernie Derr, the original "Keokuk Komet", Sunday showed a packed house of 7,532 at Hawkeye Downs why he is at the head of the pack again by capturing every honor in sight during the Hawkeye 200. 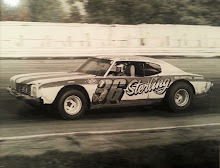 All Derr did on Sunday was: Establish a world record for the half-mile dirt track with a 24.57 seconds clocking in a special time trial event (Lenny Funk set the old mark of 25.14 in 1965 at Shreveport, La). Nip Funk by about a foot in an exciting finish to the five-lap STP Trophy Dash, featuring the top eight drivers in the national point standings last year. 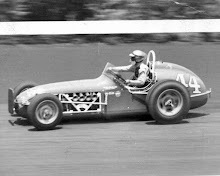 Win the slated 200-lap feature, called after 132 laps because of rain, by less than 200 yards over his old nemesis, Ramo Stott, also of Keokuk. For his day’s work; Derr walked off with $950 in prize money - $750 in the feature, $100 from STP in the dash and $100 for the time-trial win. 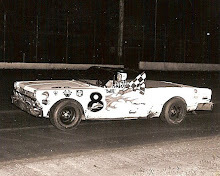 The first eight positions in the feature were determined by the placing in the five-lapper. Ernie never trailed, and for the most part it was, “catch me if you can” through the first 126 laps of the race. A light sprinkling of rain forced the yellow caution flag at the 126th lap and for all practical purposes Derr was home with the checkered flag. Ernie had strong reason to be happy. He and Stott were on the same lap (a situation that developed on lap 97 as the race was called. Derr waited until the 92nd circuit before making his mandatory 30-second pit stop in his 1967 Dodge, while Ramo took his '67 Plymouth into the pits 32 laps earlier. Ramo struggled in for gas on the 103rd lap. Ernie waited until the 106th lap to refuel. Neither wasted any time zipping back onto the oval and Stott was right on Derr's heels after Ernie's stop. Bob Janey and Bill McDonough, both of Cedar Rapids, placed 11th and 16th respectively. Janey’s car suffered a broken bolt on the A frame shortly before the rains came, costing him at least six positions. 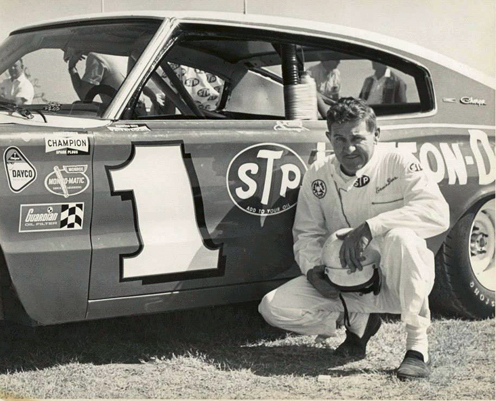 McDonough's oil got hot in his '65 Chevy and he wisely decided to save his engine. Norm Hall, Albert Lea, Minn.
J. Stubblefield, High Ridge, Mo. 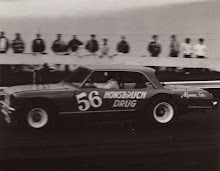 Dave Marcis, West Salem, Wis.